By utilizing innovative solutions and extensive transportation management experience, Relco Systems optimally coordinates the movement of freight in a vast array of industries throughout the U.S., Canada, and Mexico. We specialize in formulating individualized logistics solutions that are specifically targeted to meet the unique needs of each customer. 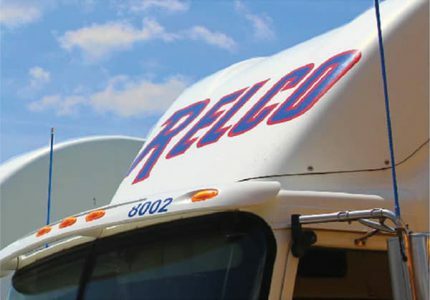 By utilizing innovative solutions and extensive transportation management experience, Relco Systems optimally coordinates the movement of freight in a vast array of industries throughout the U.S., Canada, and Mexico.We specialize in formulating individualized logistics solutions that are specifically targeted to meet the unique needs of each customer. Relco’s experts in material handling, equipment application and cross-border logistics, will assess the needs of your business, determine the right fit for the application, and develop a streamlined solution that is focused on efficiency and cost reduction. At Relco Systems, Inc. we are committed to providing our customers with Innovative Material-Handling Solutions. One such way we do so, is through the utilization of Van and Open Top Keith Walking Floor Trailers. These high capacity, self-unloading, trailers allow for the transport of loose materials and palletized freight on the return trip. The Walking Floor technology boasts a hydraulically driven conveyer floor that automatically loads and unloads freight. As a result, lift trucks do not enter the trailer to pick up pallets, resulting in less handling of the load and a decrease in product and trailer damage. 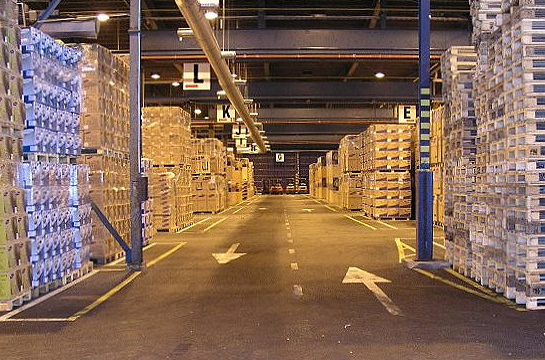 If your operational needs call for warehousing of your product, Relco Systems can provide the space necessary. We offer excellent forklift equipment, operators, and storage options. Our logistics specialists will research every option available and provide your company with the solution most suited to your needs. Border security in North America is increasing every year. As a result, inexperienced companies now face a very high risk of delays crossing the border. Relco Systems has the experience and capabilities to transport your freight on-time and efficiently. With years of experience in border-crossing, Relco has perfected the task of moving product internationally without delays or damage. We provide pick-up and delivery within and between all three North American countries. Our extensive range of equipment, services, and drivers has allowed Relco Systems to establish a presence in Canada and Mexico as well as the United States. The Relco terminal in St. Catharines, ON gives us a local base to service Canada and provides a vested interest in Canadian business.Likewise, our presence in the Northeastern and Midwestern US also offers a great launching point for our service to Mexico. Whenever and wherever a customer needs their product transported, Relco Systems has the expertise to make it happen. CSA Clearance refers to the process that the Canada Customs & Revue Agency may use to authorize the delivery of eligible goods prior to release, to an approved importer or their consignee that have been reported by a registered driver (FAST) and are being transported by an approved carrier (Relco). A voluntary supply chain security program led by U.S. Customs and Border Protection (CBP) and focused on improving the security of private companies’ supply chains with respect to terrorism. The Free and Secure Trade (FAST) program is a joint United States-Canadian program between the Canada Border Services Agency and the United States Customs and Border Protection. The FAST initiative offers pre-authorized importers, carriers and drivers expedited clearance for eligible goods, building on what Canada previously implemented under their Customs Self Assessment (CSA) program. A Canadian Border Services Agency (CBSA) program that enlists the cooperation of private industry to enhance border and trade security.